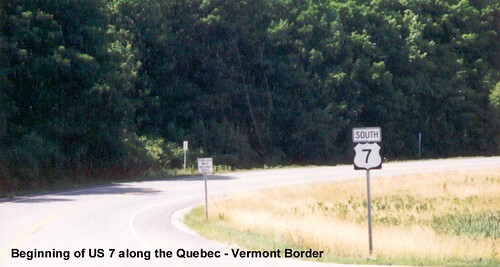 Although US 7 no longer crosses the border into Canada (the crossing was replaced by I-89) it still begins very close to the border. 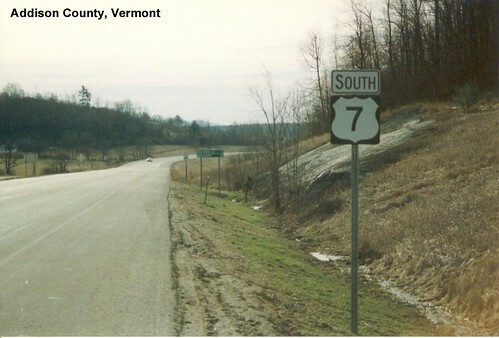 US 7 shares the pavement with US 2 for a short stretch near Burlington. 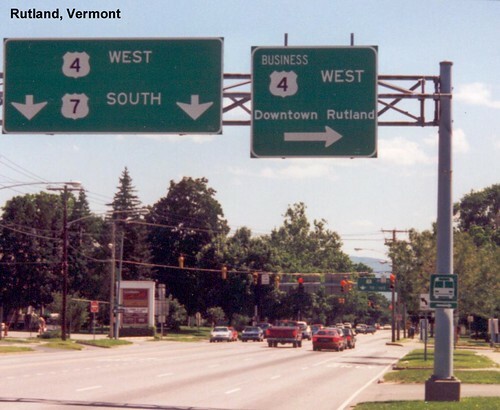 US 7 shares pavement with US 4 through Rutland.